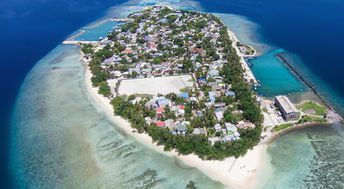 This beach ranks #21 of the "Best beaches in South Ari atoll"
Liberty Guest House is a great hotel near the beach. There are also few cheaper hotels - from US$80 per night with all taxes. - departure from Mahibadhoo island at 10:30 on Tuesday, Thursday and Sunday. The best time for relaxing on the beach of Mahibadu is a dry season from January to April.